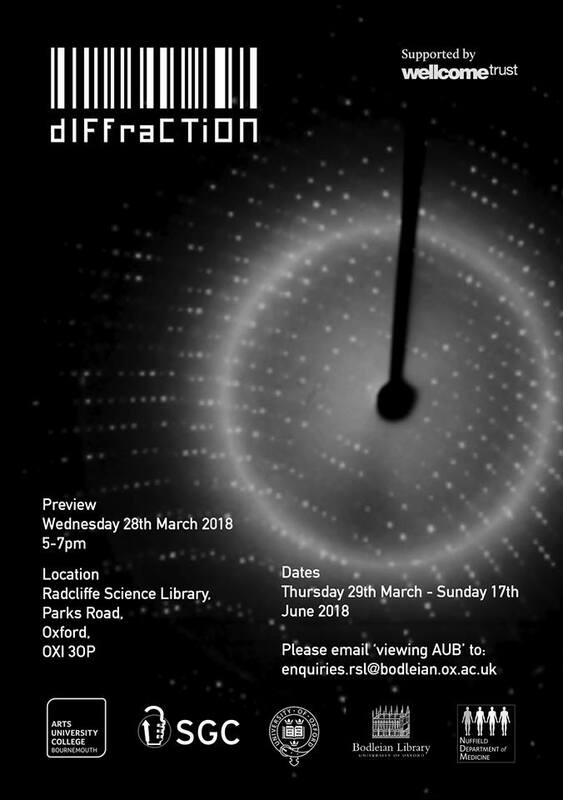 Diffraction is a collaboration between second year Fine Arts students at Arts University Bournemouth and the Oxford Structural Genomics Consortium. The launch event will take place at the RSL on Wednesday 28 March – details are at https://www.facebook.com/events/570756029969419/. The exhibition will continue until 17 June. This entry was posted in RSL events by catherinedockerty. Bookmark the permalink.